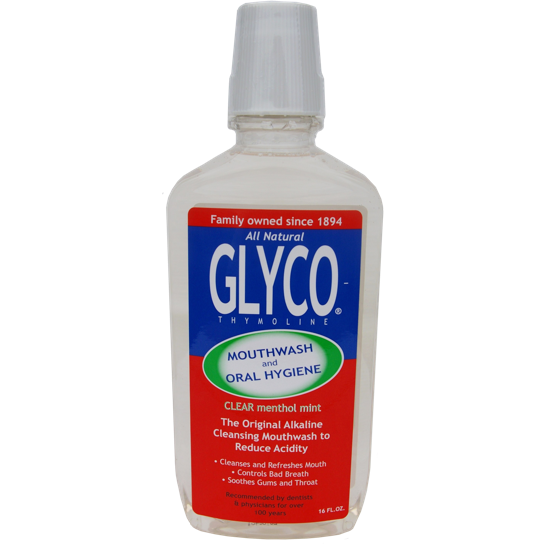 •Gargle, swish around, or allow to remain in place at least 1 minute and then spit out. 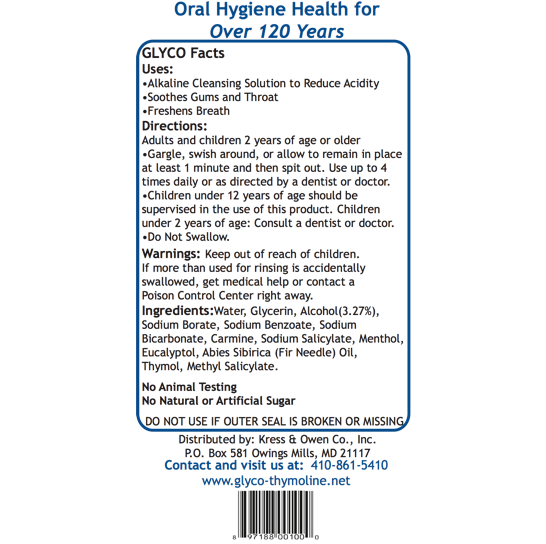 Use up to 4 times daily or as directed by a dentist or doctor. 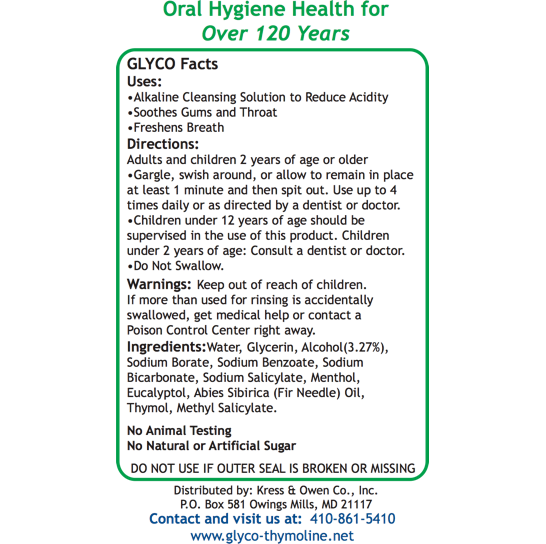 •Children under 12 years of age should be supervised in the use of this product. Children under 2 years of age: Consult a dentist or doctor. 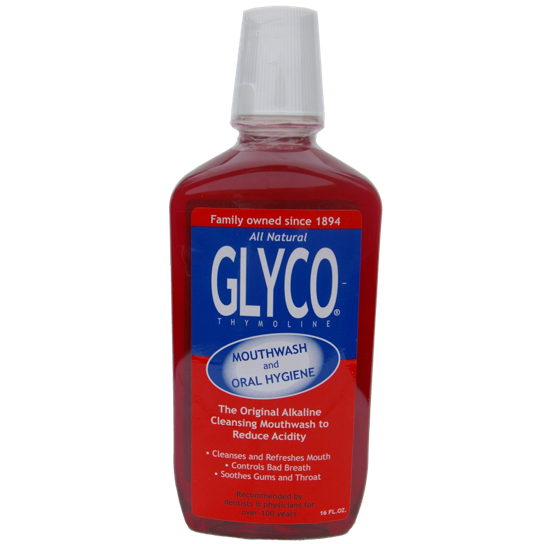 Water, Glycerin, Alcohol(3.27%), Sodium Borate, Sodium Benzoate, Sodium Bicarbonate, Carmine, Sodium Salicylate, Menthol, Eucalyptol, Abies Sibirica (Fir Needle) Oil, Thymol, Methyl Salicylate.